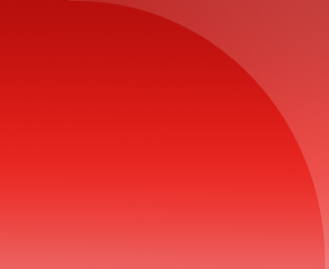 Use PDFOne to export PDF pages to image formats. 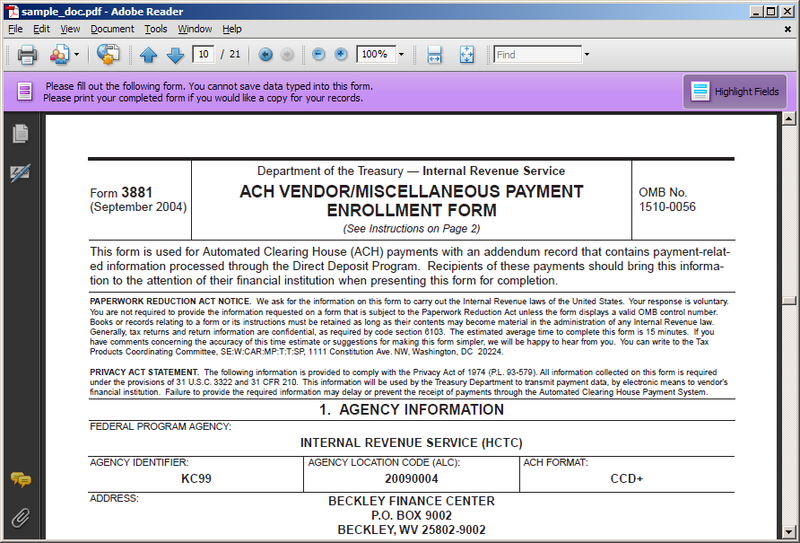 Many companies send their bills as PDF documents. In most cases, the most useful part of the document is just the bill but unfortunately it will be buried under a whole lot of other pages. 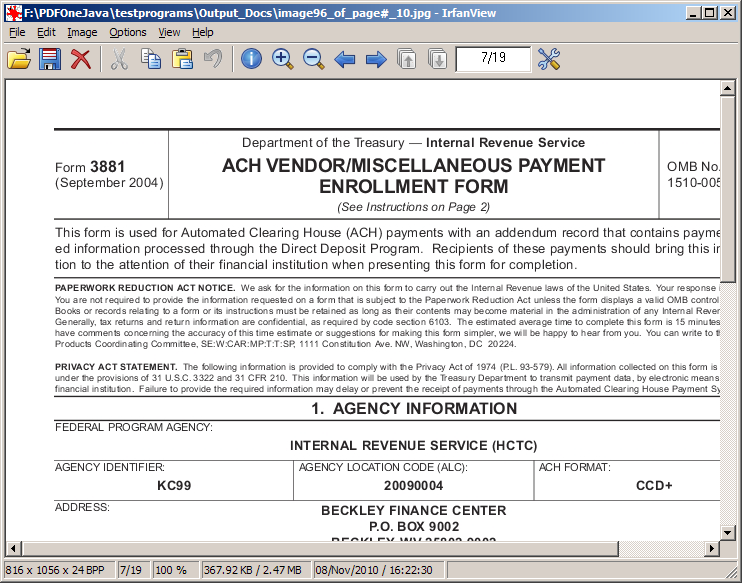 Using PDFOne Java, we can just read the document, take a snap of the page where the bill is located, and save it as an image. This way the images will contain just the bills. Finding the bills in these images will be easier than opening the actual PDF documents. In this tip, we will see how to accomplish this using one of the overloaded PdfDocument.saveAsImage() methods. In the above code snippet, we export a PDF page at different resolutions - one at the common 96 dpi and another at a high 204 dpi. 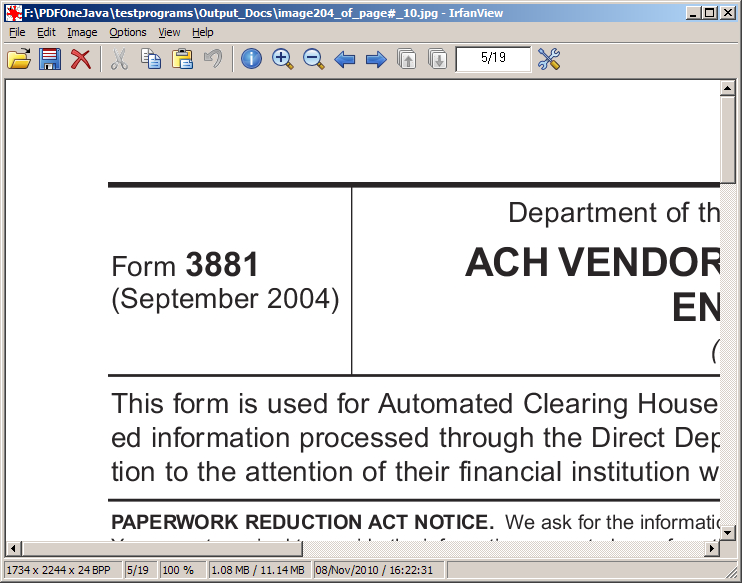 Keeping the source document as PDF turns out great for high-resolution image export. Check the results down below. Did you add JAI and JAI Image IO libraries? Java framework supports only a few image formats - BMP, PNG, JPEG and others. For converting to more formats such as TIFF, you need to add the Java Advanced Imaging and Java Advanced Imaging Image IO libraries to your project.